We're a little delayed in getting this post ready for the book club discussion but here are Heather's concluding thoughts on Laddie: A True Blue Story, by Gene Stratton Porter. I'm sorry this wrap-up post is a little late, but even though I've read Laddie before, I wanted to re-read the book in its entirety before writing some final thoughts. I don't often re-read books, but when I do it's always interesting to see what stands out to me most with each reading. So for my wrap-up post, I'd like to discuss some of the themes or ideas that have impacted me most, and I'd love to hear what you took away from the story, as well. Like I mentioned in the introductory post, Laddie includes almost all of my favorite story elements - it is, quite simply, an enjoyable read. Yes, it's a bit idealistic, and perhaps the ending is wrapped up a bit too neatly, but overall I think it is an amazingly well-crafted story with a wide array of fascinating characters. As much as I enjoy the story, however, I'm repeatedly amazed at the solid, Christian values that Gene Stratton Porter conveys so effortlessly and unapologetically. I said before that it wasn't particularly a Christian book, because, of course, Christian fiction wasn't a "thing" when this was originally published in 1913. But it certainly gives us a picture of a Christian family in the late 1800's, living their faith throughout various trials and circumstances in their ordinary lives. It's astounding to think that this was the norm just 100-150 years ago (the book was published in 1913), and how far our culture has departed from basic Biblical understanding and values in the past 50 years or so. Though fiction, Laddie is a book that encourages me to continue to deliberately live Biblically even in the face of opposition. I thought this might be a good book to read in August because there is so much about formal and informal education woven throughout the story. As a home schooling mom, I find the high standards of education to be both inspiring and humiliating. Memorizing almost the whole Bible was not so uncommon, and those old-fashioned McGuffey Readers weren't just for reading it seems! In this and the Little House books, I get the impression that when students learned their lessons, they memorized the whole book, both poetry and prose. How small our brain capacity has become, and how pitiful are my expectations for myself and my children! But book learning aside, Little Sister shows the value of learning from God's creation, and I'm challenged to send my kids outside more often, too! Upon rereading Laddie this time, I was most struck with the humility and contentment in the adult characters of the Stanton family. Mother is content and rejoices in making a home for her family. She describes her husband as a man among men, though he did not have a prestigious title or great wealth, because he has faithfully cared for and improved all that he was given. Likewise, Laddie is willing even to lose the love of the Princess to follow in his father's footsteps, though he, too, could have succeeded in most anything he set out to do. How easy it is to always be looking beyond the place where we are, seeking great things for ourselves instead of being faithful in the small things that are before us. At the risk of being redundant, I have to share my favorite quote again, when Mrs. Stanton tells Mr. Pryor, “but neighbor, believe me, my highest aspiration is to be a clean, thrifty housekeeper, a bountiful cook, a faithful wife, a sympathetic mother. This is life work for any woman...” Amen! 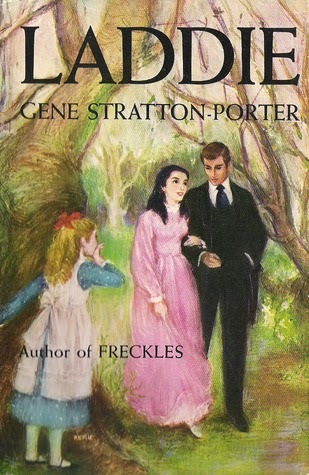 I've heard that Gene Stratton Porter wrote many of her novels to please the romantic sentiments of early 20th century readers. Books such as Freckles and Girl of the Limberlost provided her bread and butter, but Laddie expressed what was dearest to her heart. It has a fair share of romance, but there is so much depth and wisdom in the characters and the narrative! I hope that you both enjoyed the story and came away encouraged for wherever you are in life today. 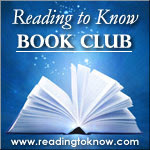 Did you read along with us? Let us know in the comment section! We'd love to hear your thoughts on this read.